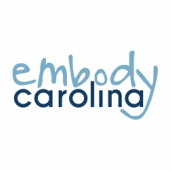 Embody Carolina is a new campus initiative that aims to educate students about identifying and supporting someone struggling with an eating disorder. Eating disorders affect around 10-20% of college women, and 4-10% of college men. Even higher percentages of students struggle with negative body image, disordered eating, and low self-esteem. These disorders and issues are not only potentially physically destructive, but are emotionally and mentally exhausting, detracting from students’ abilities to pursue their true interests. Embody recognizes that there is no replacement for professional treatment of disorders and in no way seeks to do so. The four-hour, student led training program is meant to help students identify the signs of struggle, learn to approach friends with sensitivity and compassion, seek out professional help in the community, and serve as allies in the recovery process. The program also aims to dispel common myths about eating disorders and inform students about the dangers and realities of these disorders. In light of recent feedback surrounding member diversity and the descriptor "fat," we created this statement of purpose. Please take a read and share! "I Embody because it helps me reclaim and reshape my experience with an eating disorder." "I Embody because of the productive conversations that arise at our trainings, meetings, and events!" "I Embody because no one should ever have to feel alone or ashamed of themselves." "I Embody to help spread the word to end the stigma." "I Embody because one friend who knows how to help can make all the difference in someone's recovery."